Had a wonderful day with all the Seattle Usk sketching in one of my favorite places to visit. 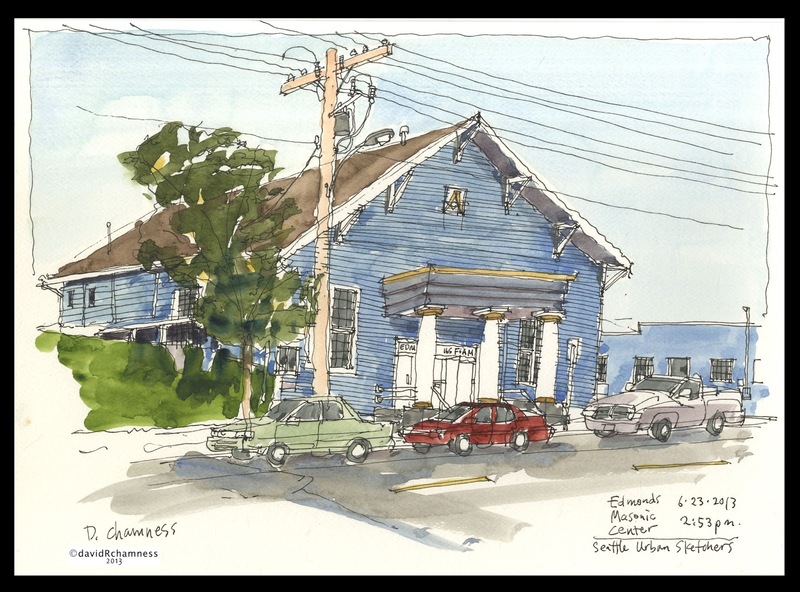 I had never taken the time to draw and paint before Sunday though in Edmonds. This first sketch of the theater was going fine until 2 big SUV's pulled into my view as I was adding color. 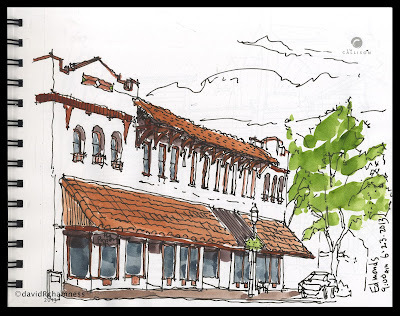 One of the trials of sidewalk sketching! 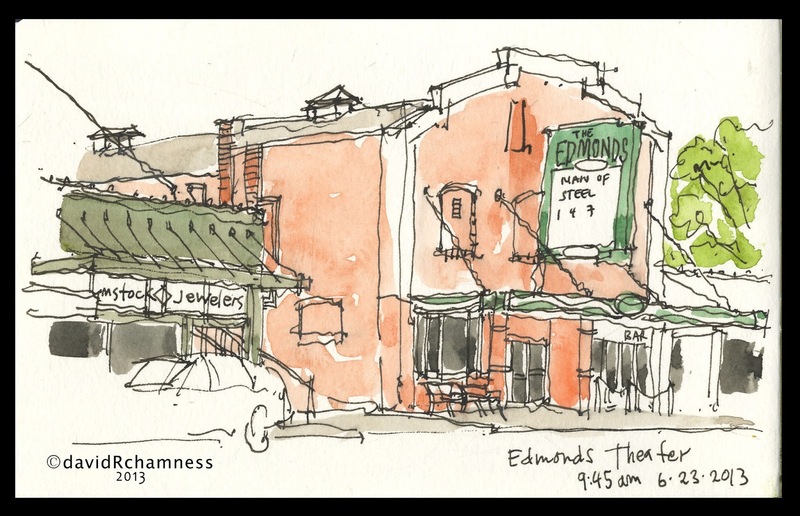 I next turned my attention to one of the larger commercial buildings in downtown Edmonds. Love the mission details of the second story. 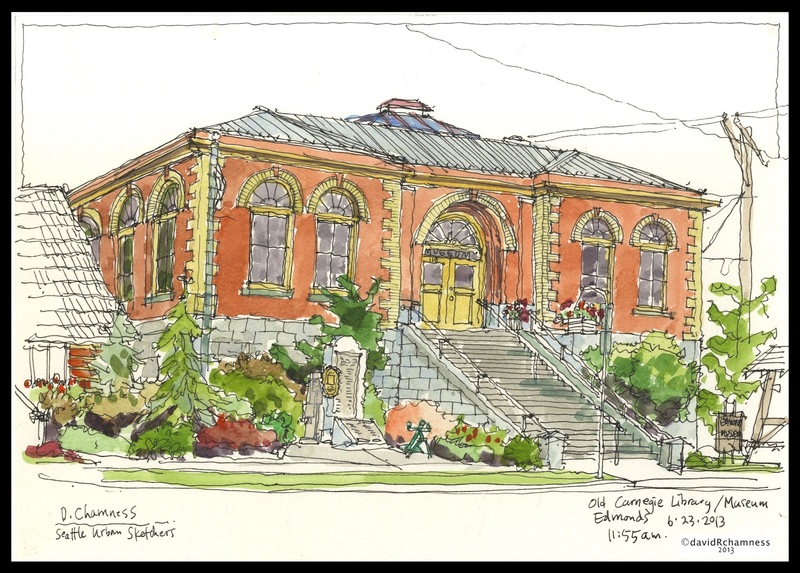 I decided to spend some time with this old Carnegie Library building across from city hall. I didn't want to rush through my sketch and take in all the fine details of this classical "Italian Palazzo". An older women stopped to tell me that as a child she checked and read many a book from it. 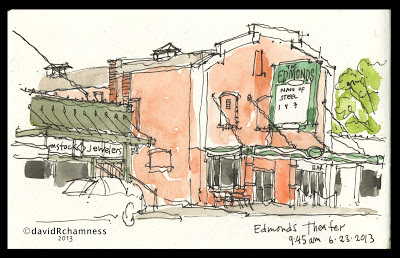 Now days it acts as a museum for Edmonds history. 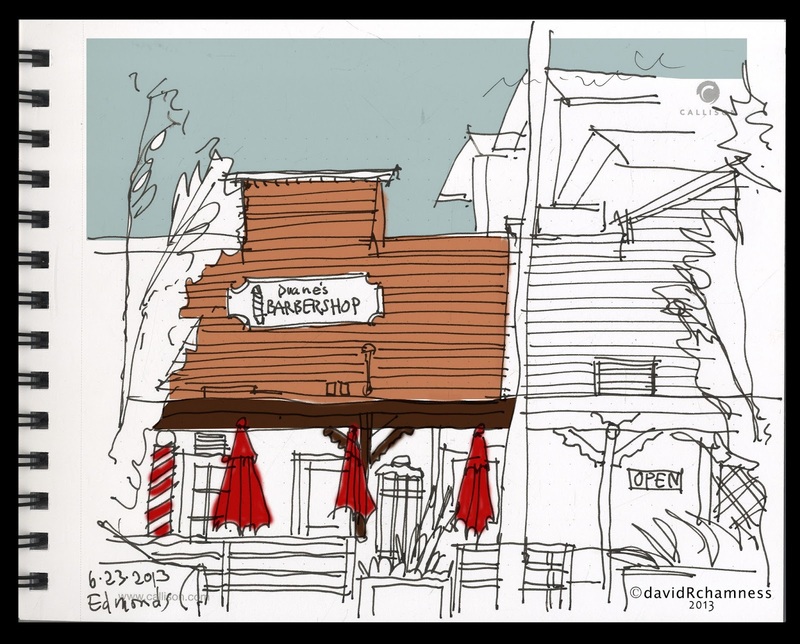 While waiting for the group to arrive for our sharing time, I decided to quickly draw the old "western, false front" barbershop across from our meet-up location. This was the one time I wasn't under the cover of the store front awnings that protected much of us on this day of "spitting" drizzle. Finally after our sharing time I was driving out of town and this building caught my eye because of the blue color and the "Greek" influenced portico. The Masonic Center is stately with its gold capitals on the 3 Doric columns at its entry. I realized later that the charm of Edmonds is this potpourri of architectural styles and interpretations in a small town way. Stunningly fascinating..THANKS for letting me chat with you as you sketched the "false front" building. I have much to learn! I always like to talk while sketching! 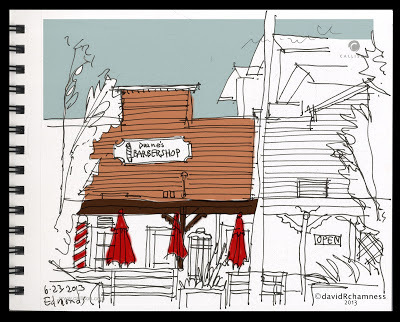 Really nice sketches, David. I love your clean, loose line. A fruitful day of beautiful sketches! Wish I had taken the time to talk with you about these, they are very interesting and well done. Next month we can chat about these or next month's sketches.